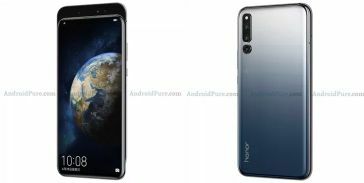 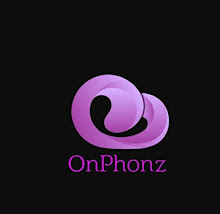 However, Honor Magic 2 will be launched soon in China it's fresh renders has been appeared in online.It shows not only color variant as well as some key features.Early,the company has left out it's official renders online,so that it's design and features are not a mystery.Anyway,just have look on new renders. 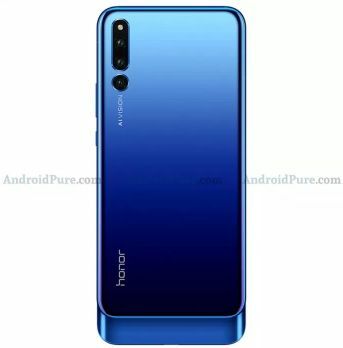 The new renders has revealed it's color variants as red,silver and blue.It can be visible that it's rear and front panel camera systems are configured with three camera setup.Its one of the key feature sliding camera setup also visible. 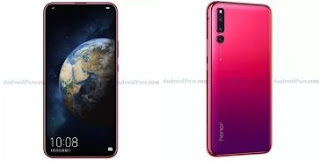 Early,Chinese certification site TENAA had revealed that it will be arriving with specifications such as 6.3GB inch AMOLED display with 2340×1080 pixel resolution.And it also shows it's camera features as 16MP+20+2MP at front and 16MP+24MP+16MP rear panel.The device will have 6GB/128GB and 8GB/256GB models as well.